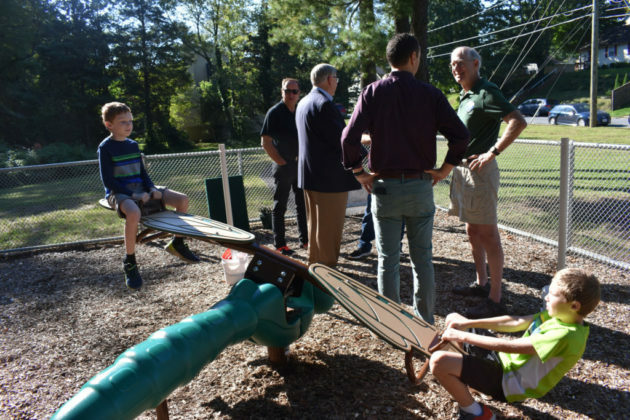 A ribbon-cutting ceremony was held Sept. 29 to celebrate the opening of the new Griffith Park playground in the Falls Church area. 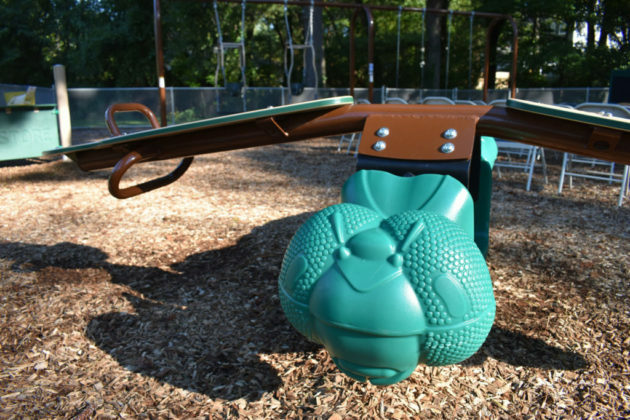 Funded via voter-approved 2016 park bonds, the $80,000 project replaced outdated equipment with new play elements, interactive panels and swings for children ages 2 to 12. 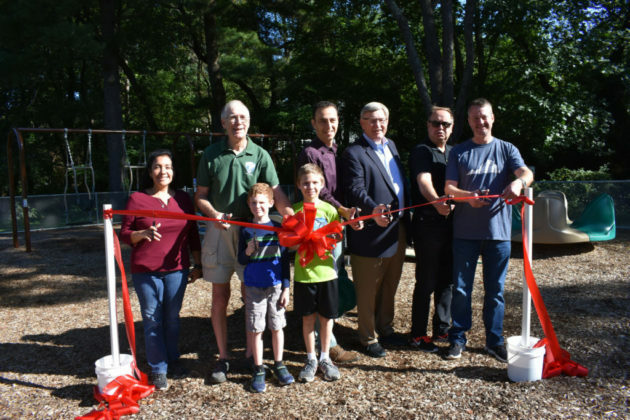 Safety surfacing and playground borders were also replaced and a new drainage system and fence installed. 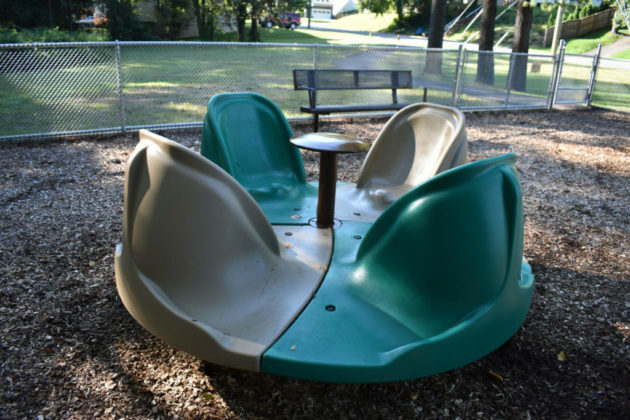 The project was part of a larger effort by the Park Authority to identify and replace playground equipment throughout Fairfax County that has exceeded its useful life. 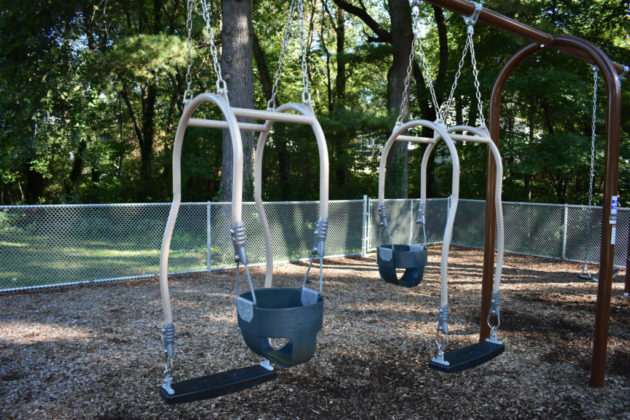 Photos via Fairfax County/Flickr. 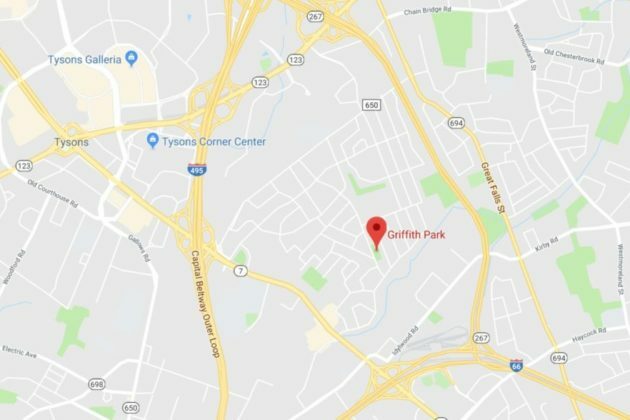 Map via Google Maps.